The perfect haircut is more than just a few snips! The team at pearl beauty Parlour works with you to give the best hair style that suits your face and personality. We offer a complete range of Hair Services for Ladies like hair styling, cutting, coloring, creative coloring, conditioning, as well as hair curling (perming) and straightening (rebonding). Spending precious hours trying to get your hair right Now reduce styling time and enjoy sleeker, smoother hair. Change your style with the season. We prefer enquiries from Secunderabad city. Since we know hair plays a very crucial role in appearance of a female, hence we follow the cardinal rule while providing our services, i.e. we talk to our customers and listen to their requirements very patiently. Cut & Finish You will begin with a consultation so you can talk to your friendly stylist about what you would like to achieve with this experience. Following the consultation, your hair will be washed and you will receive a relaxing head massage to help ease any tension. Hair spa is one of the best way of maintaining and enhancing the beauty of your hair. Hair spa helps to develop the natural beauty composition of our hair. Hair spa includes different treatment to make our hair much attractive and glow in its natural way. At Jordan The Salon, with state of art facility, Hair Spa is done to add to the glory in you! Haircut styles are always a constant problem for many of us. Most of us change hair styles yearly, and there are those who change hairstyles every month or less. No matter what time period you change your hairstyles, we are always looking for the newest haircut styles to make us stylish and the center of attention. From the newest long haircut styles to the latest bob. Rohit Anand Salon in Chembur, Mumbai has on-board the best hair stylist in town – Mr. Rohit Anand. With his vast experience as a hair stylist and his versatile personality, he will give you the hair cut which is best suited on your face with all the possible variation in standard hair cut. Our professional will recommend a cut and style that will compliment the shape of your face and lifestyle. A luxurious shampoo and conditioning is personalised for your hair type. 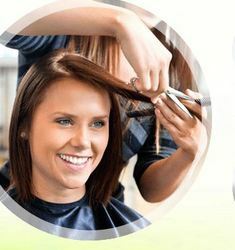 We finish with blow-dry style and our professional recommendation for follow-up home care and maintenance to keep your hair healthy and full life.